You can play any valid public mp3 stream via the Kentha Player. Important: this feature requires you to have a normal MP3 stream url, such as Shoutcast, Icecast, Radio.co, Wavestreaming, Airtime, Shoutca.st or similar. 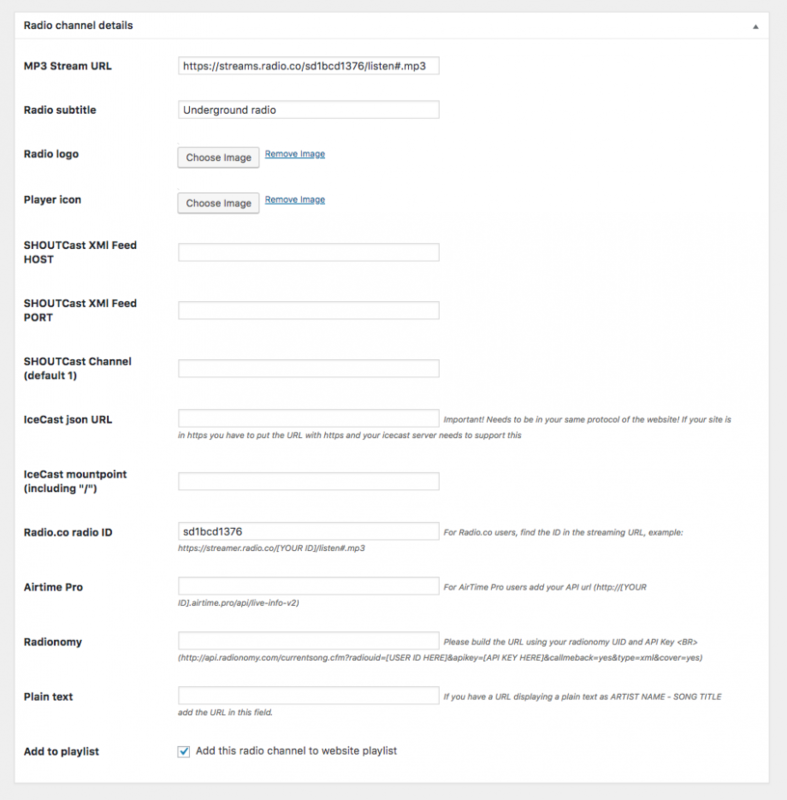 This plugin adds the possibility to stream music from any public mp3 radio stream. To be sure that your stream works, you can open it in Chrome. If a download action starts or a music player appears, then your stream is publically accessible. Most of the times you can’t access a radio stream in http from a https website (the protocols must match). If you are not sure of what your direct mp3 stream URL is, you have to ask to your radio streaming provider. AAC stream is not accepted as is not compatible by most of the devices. This theme only provides an access from the browser to the radio stream. It works like a window to see outside of your home: if the stream is not accessible directly as explained above, it can’t work with the theme because is the stream URL itself that is incorrect, in this case we can’t help you, it’s required that you contact your streaming provider and ask for the correct direct mp3 stream URL. Always test the stream URL directly in the browser before using it with the theme to be sure it’s working. Shoutcast streams prior to 2.x are not accepted by Chrome for security issues. If your stream doesn’t work even if public and directly accessible, your provider may be blocking Access-Control-Allow-Origin. Solution: Go in Settings > Kentha Player and disable the Audio Analyzer to enable the music streaming, because your radio provider is not allowing this service. To view the radio channel in the player, you need enable “Add To Playlist”. If the equalizer animation doesn’t work, is because your specific radio stream is blocking the browser from accessing the information about the sound. Go in Settings Kentha Player and disable the analyzer. You can get host and port from your radio station’s .pls file. If there aren’t it means that your XML feed is empty, blocked or it doesn’t exists. 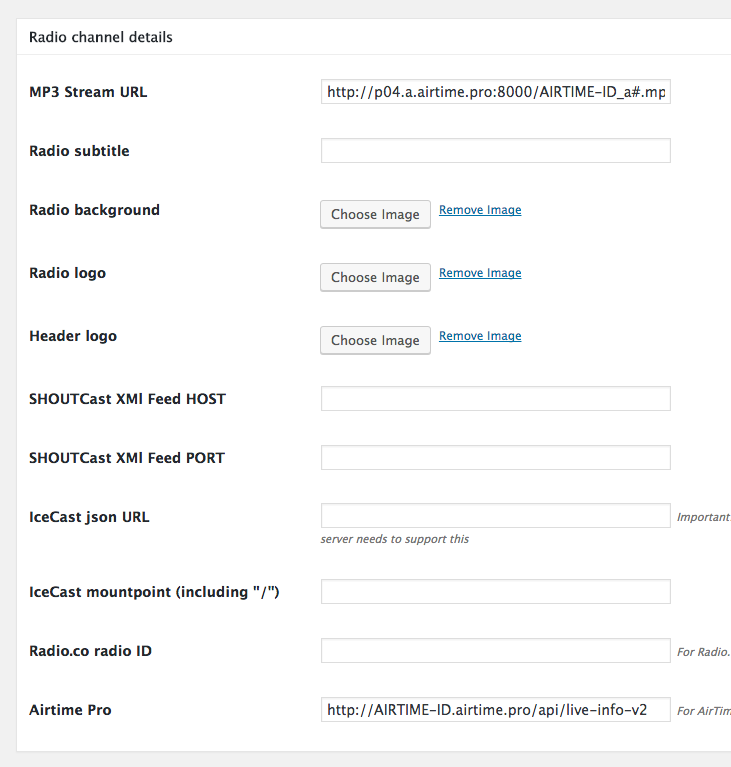 Contact your radio provider for more details about your XML SHOUTcast V2 feed if you need more help with the implementation. We can’t know in advance which of the extensions above is the one that works with your provider. You have to try them manually. To be sure that your mp3 stream is valid, open it in the browser, with a modern browser it should render as a music player, and play the radio stream: if the radio stream works correctly, you can integrate it in your site. If the stream URL you have doesn’t work, contact your radio provider to ask for the correct direct MP3 URL. Also be sure that the provider settings allows direct access to the stream. Don’t use the link the the .pls file, which is nothing more than a TXT file. 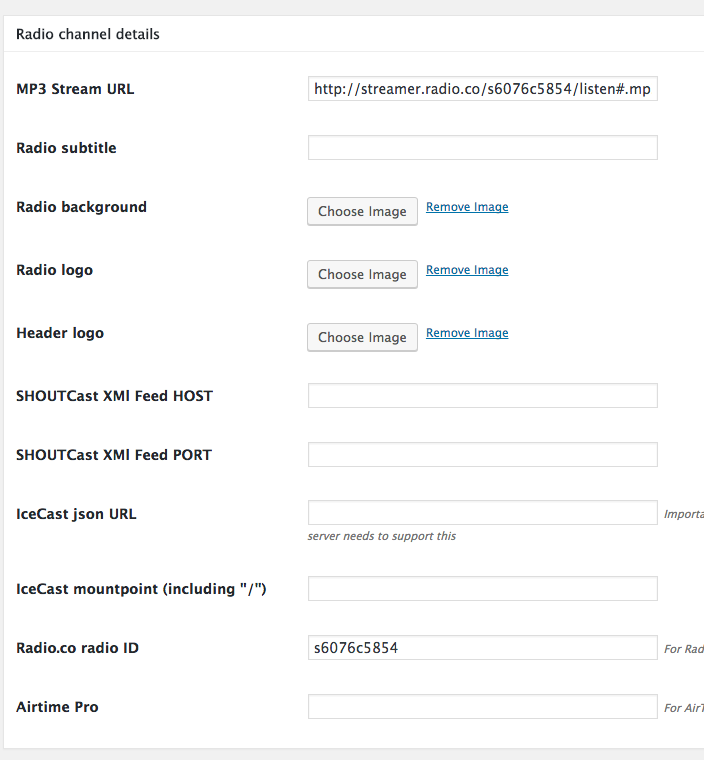 From plugin version 1.4 (10th January 2019) Kentha Radio supports Shoutcast SSL streaming. If your website is in HTTPS, please make sure to add 443 port to your stream url. There are 2 types of Icecast feed: with and without mountpoint. You need to check your data directly to understand which type is yours. In this case you don’t need the mountpoint. 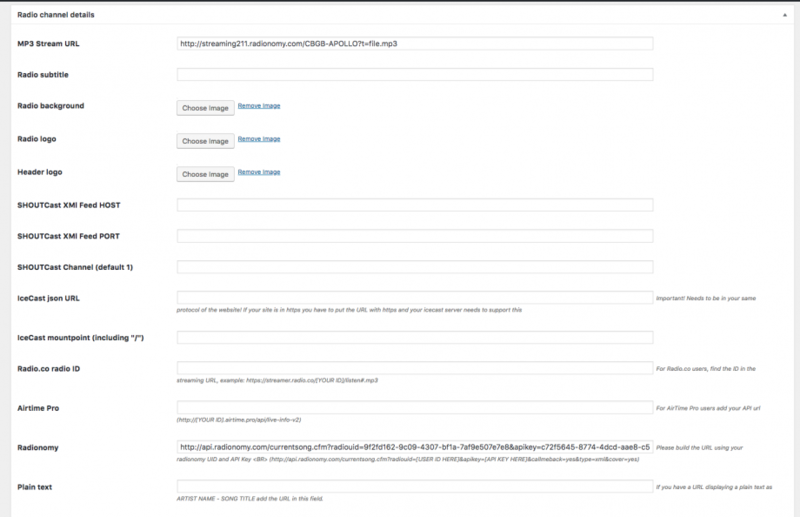 Please check the example below for the Radionomy stream setup. If your website is in HTTPS, you can’t read the songs feed of a HTTP feed. Be sure that your song feed url is in the same protocolo (all http or all https). From an HTTP website you can connect to a HTTPS feed, but you can’t do the opposite.